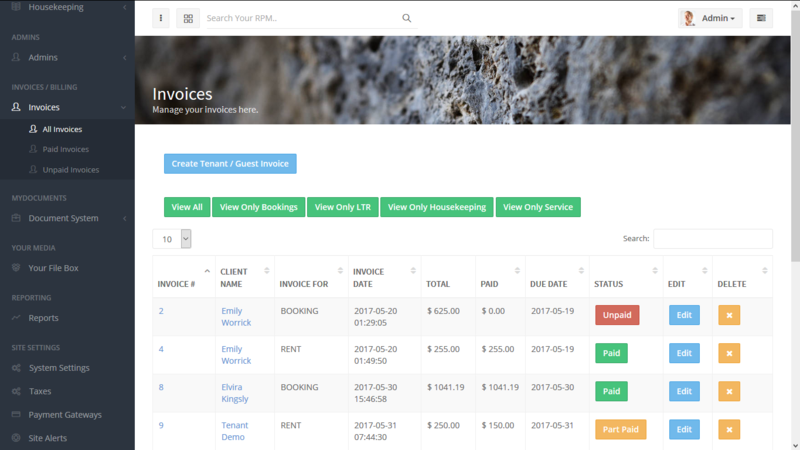 Create, Edit and Send invoices to all tenants and guests! 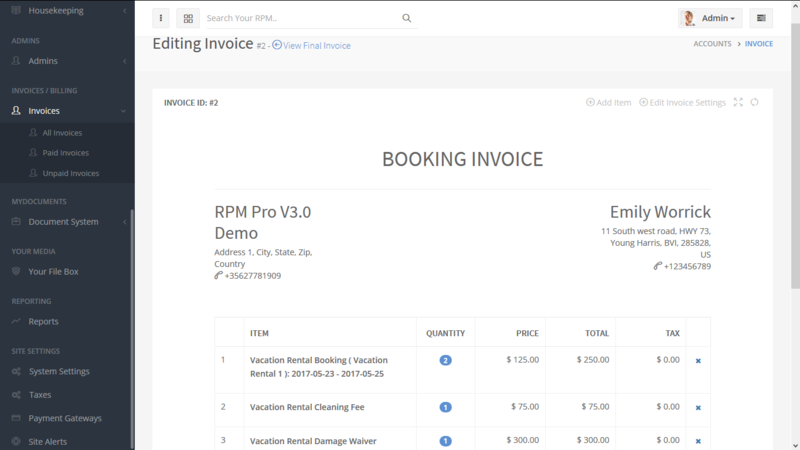 With the amazing RPM Pro invoice system you can track all of your rent, booking, housekeeping AND service invoices! 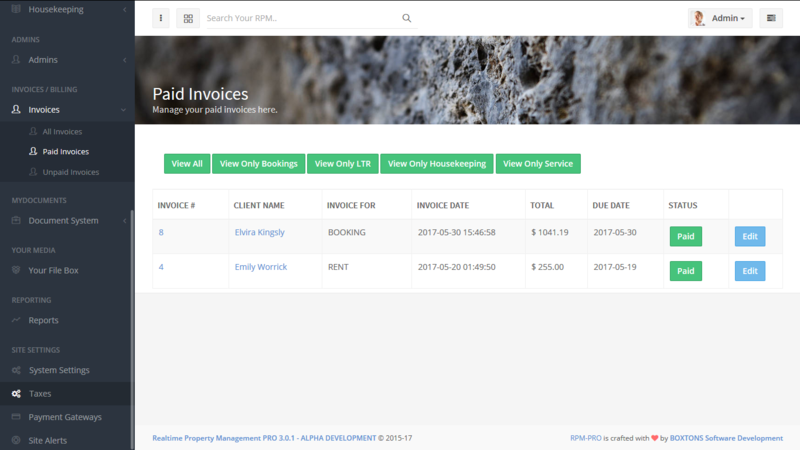 You can create a single manual invoice as well as set up recurring rent invoices to a leased tenant. All of your recurring invoices will be generated on the same date each month (ie. an identical invoice with a unique ID will be genereated and sent on your selected date each month ie. 25th, 30th. The invoice generationd date can easily be set up in your site settings. 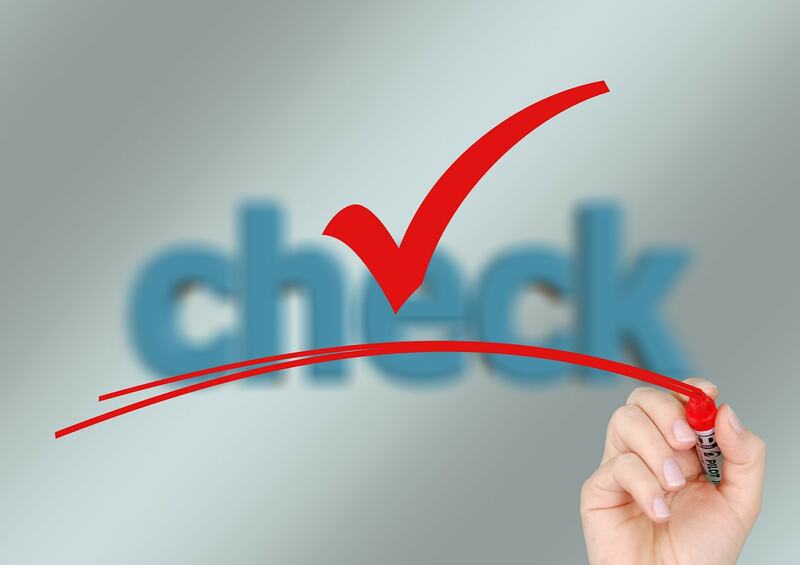 In the software you have three main categories to choose from - view All, Paid or Unpaid invoices. On each page you have the option to choose and seperate all of your invoices by each section. This will help you a great deal as your invoices starts to build up! It's so simple, choose your topic, the tenant/ guest account, tax rate and payment gateway! A new invoice with a unique invoice ID has been created and you can fill in any information and tax that is required for your invoice! RPM Pro gives you the chance to operate your realtor business as enviromentally friendly as possible with direct online payments as well as cash payments. Your recipient will receive an automatic email with the invoice on set due date and payment confirmation when a payment has been completed.